When it comes to celebrating the big game, the first thing most people think of is the football, of course, but a very close second is…. THE FOOD! And I’m guessing that order may even be in reverse for a few hungry souls. 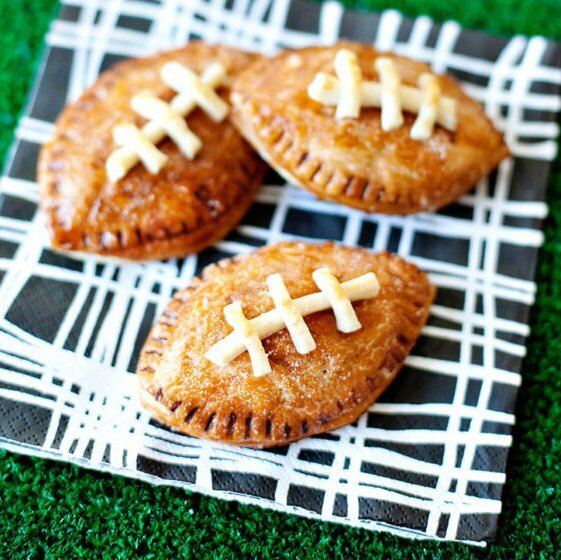 ;) That’s why I’m excited to be teaming up with the Coca-Cola & NABISCO Home Bowl this year to bring you some tasty recipe ideas for your game day menu! BTW – if you’re not familiar with the Home Bowl yet, it’s a lineup of tasty game day party food & drinks that can be found at retailers nationwide right now. You can learn more about it here. Bacon is always a crowd-pleaser in our circle, so we’ve utilized it quite a bit for various parties, including marinating it in Coca-Cola for a super tasty & slightly-caramelized twist! Read on for details on both recipes AND a #HomeBowlHeroContest where TWO lucky winners will receive “Home Bowl” Party Prize Packs worth $400! Place individual bacon strips in a baking dish. 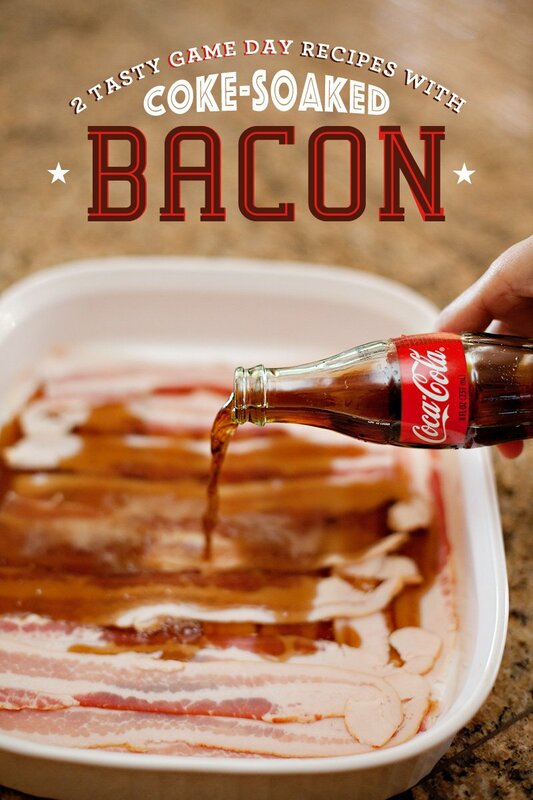 Pour Coca-Cola over the bacon, cover, and refrigerate for 2 hours. (You’ll need around 24 oz of Coca-Cola per pound or so of bacon.) Preheat oven to 400º. Drain liquid and place the bacon strips on a baking sheet lined with parchment paper. Bake for approximately 25 minutes, or until the bacon is crisp and slightly caramelized. 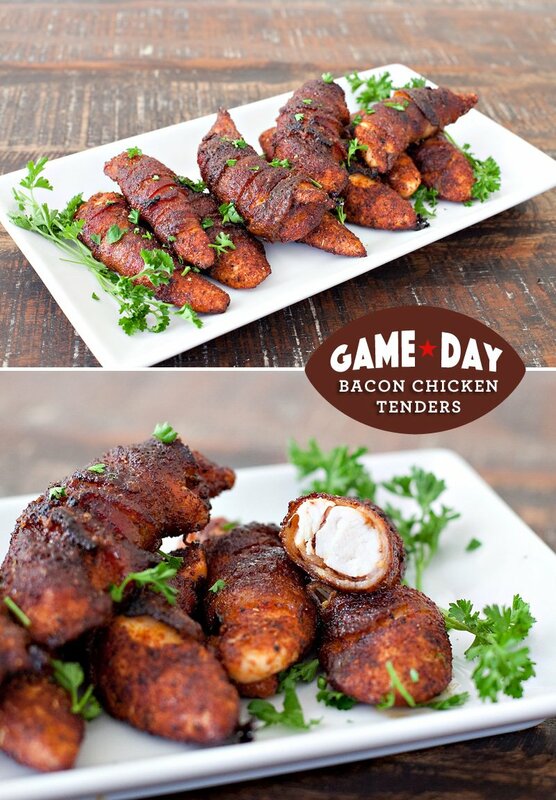 Now… onto the first game day recipe! 1. In a small bowl, combine the pecans, 2 Tbsp of parsley, and half of the bacon. Set aside. 2. 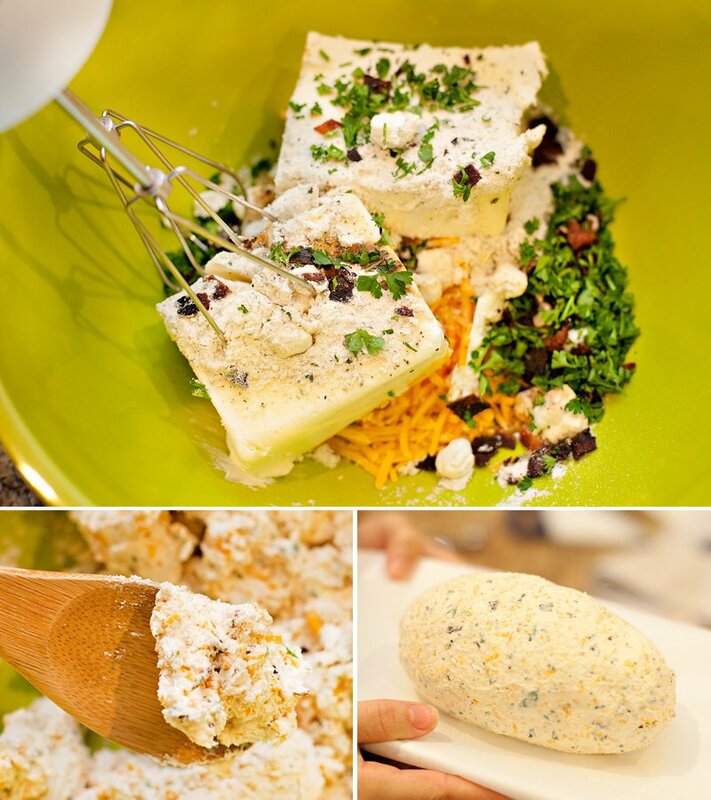 In a large mixing bowl, combine cream cheese, cheddar cheese, goat cheese, Worcestershire sauce, the Ranch Seasoning and Salad Dressing Mix, and the remaining chopped bacon and parsley. Use a hand mixer on medium-high and beat until ingredients are well-combined. 3. 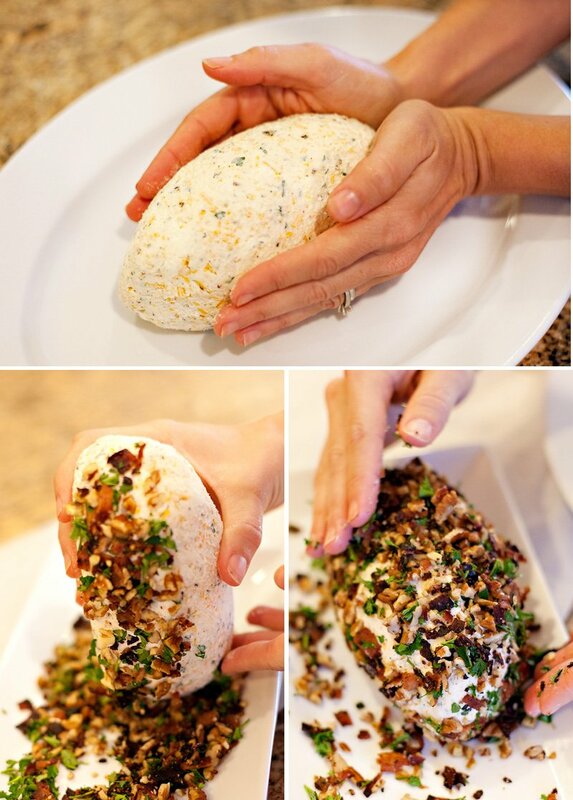 Scoop and shape the cheese ball mixture into a (very general) football shape. Cover and refrigerate for 2 hours. 4. 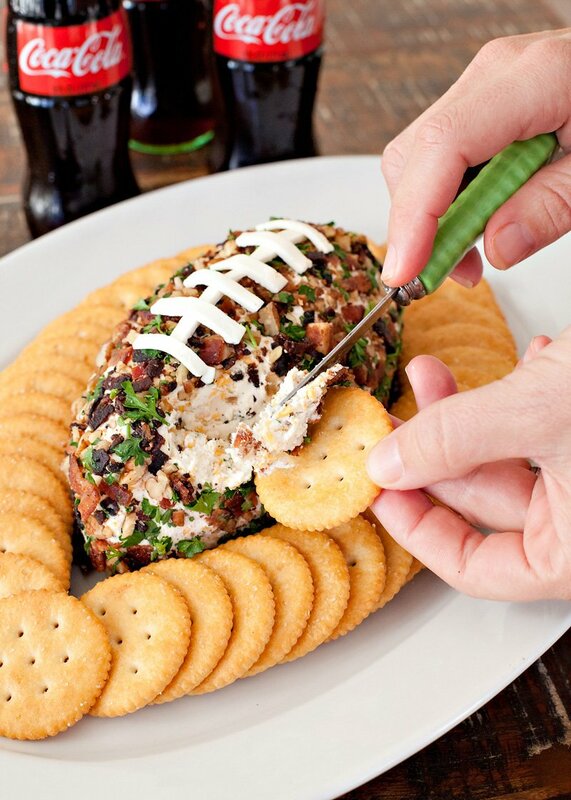 Remove the cheese ball from the refrigerator and fine-tune the shape of the “football” cheese ball until you’re happy with it. Then, roll the sides and top of the football in the pecan-parsley-bacon mixture. (Leave the bottom of the football uncovered.) 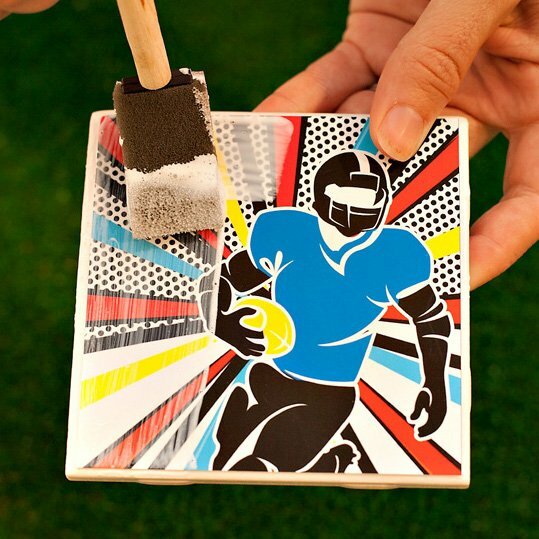 Use your hands to pat the remaining mixture onto the football until it’s well covered. 5. 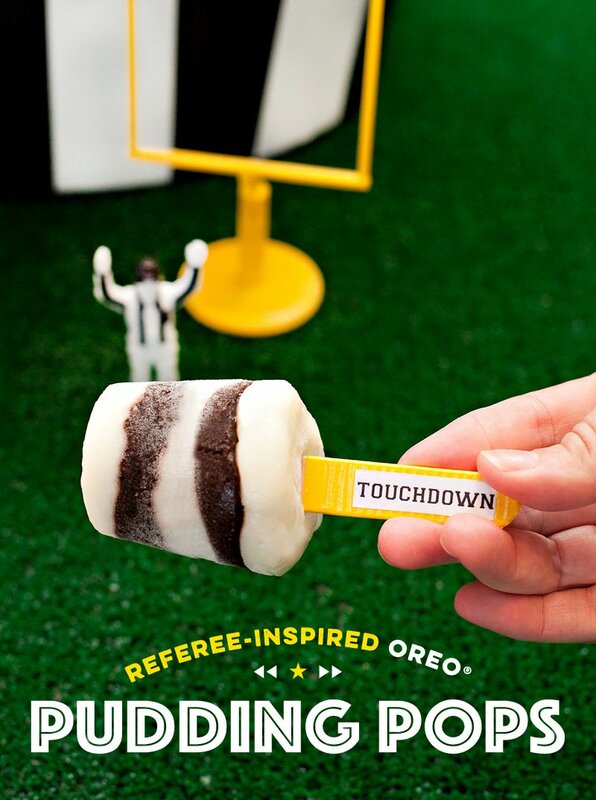 To form the “football laces”, roll out a couple oz of chilled cream cheese in the same manner you would roll out cookie dough. 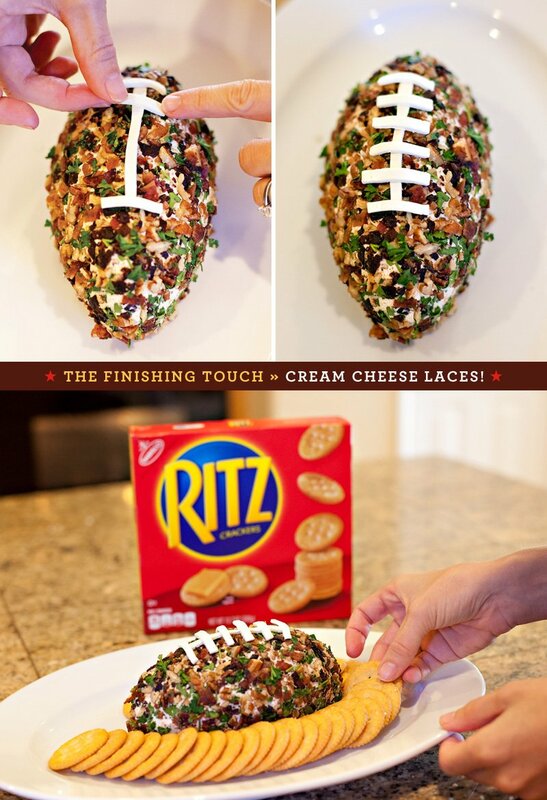 Use a sharp knife to cut strips of the cream cheese to use for the football “laces”, and place them on the top of the ball. 6. Serve with RITZ Crackers and enjoy! *Marinate bacon strips in Coca-Cola for 2 hours. 1. Pre-heat the oven to 350º. 2. In a small bowl, combine the salt, paprika, onion powder, garlic powder, rosemary, basil, thyme, and black pepper. Use this seasoning mix to coat both sides of the chicken tenders (top and bottom). 3. Cut the 10 strips of Coke-soaked bacon in half, lengthwise. You should end up with 20 “skinny” strips of raw bacon. 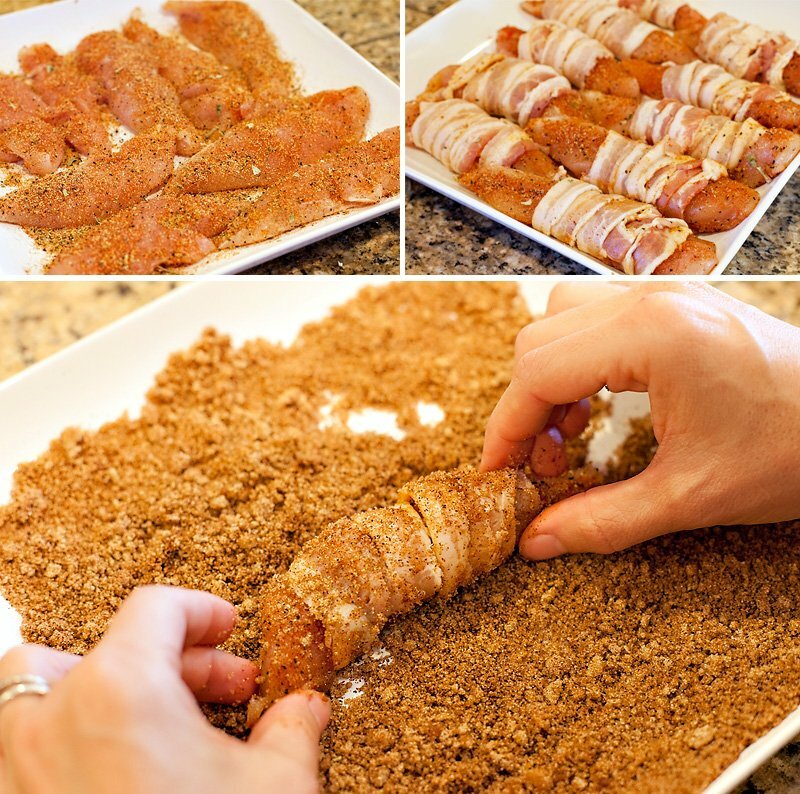 Wrap each seasoned chicken tender in bacon, using 2 pieces per tender. 5. Place the chicken tenders on a greased grill pan (ideally) OR on a parchment-paper-lined baking sheet (which is what we used here). Bake for approximately 30 minutes or until bacon is crispy. Broil for the last few minutes if desired. Note: Cook time can vary depending on the size of your chicken tenders and the desired crispiness level of your bacon. 6. Remove from oven, garnish with a little more fresh parsley, and ENJOY! Note: This is a hearty-sized appetizer. If you’d prefer them as small bites, cut each tender into 3 or 4 bite-sized pieces and use toothpicks to serve. 4. 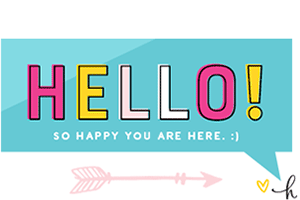 Copy/paste the URL of your Pinterest board to the comments section of this post. The will act as your entry. Done! Entries will be judged based on the overall creativity of the board and variety of pins. 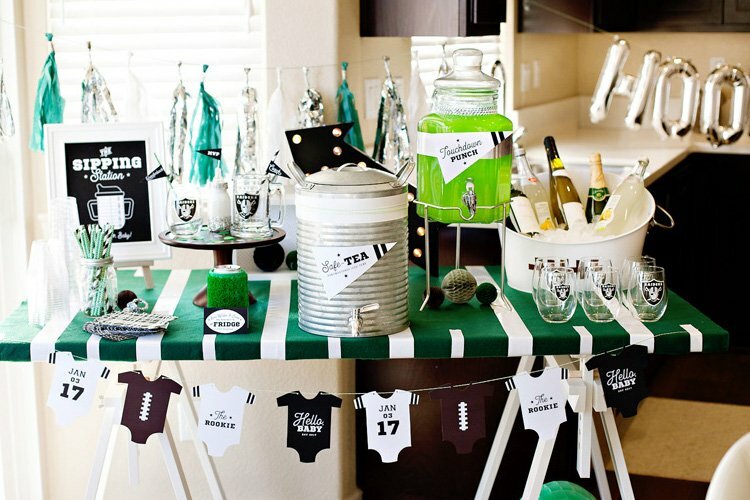 A good mix of food, drink, & decor ideas is encouraged! You are not required to pin photos of Coca-Cola or NABISCO products to win. Disclosure: Compensation was provided by Coca-Cola® and NABISCO for this post. As always, the content and opinions are my own. Thank you for supporting the companies that make it possible for us to keep the creative content coming! 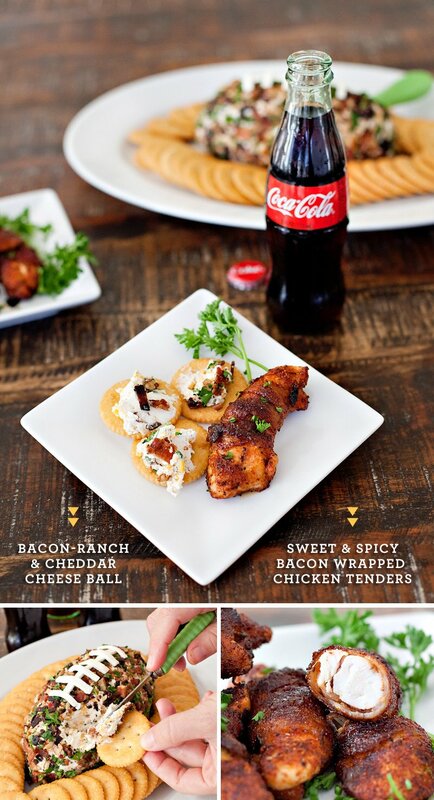 Coca Cola, bacon, and chicken tenders… I don’t think I’ve ever seen anything more perfect. 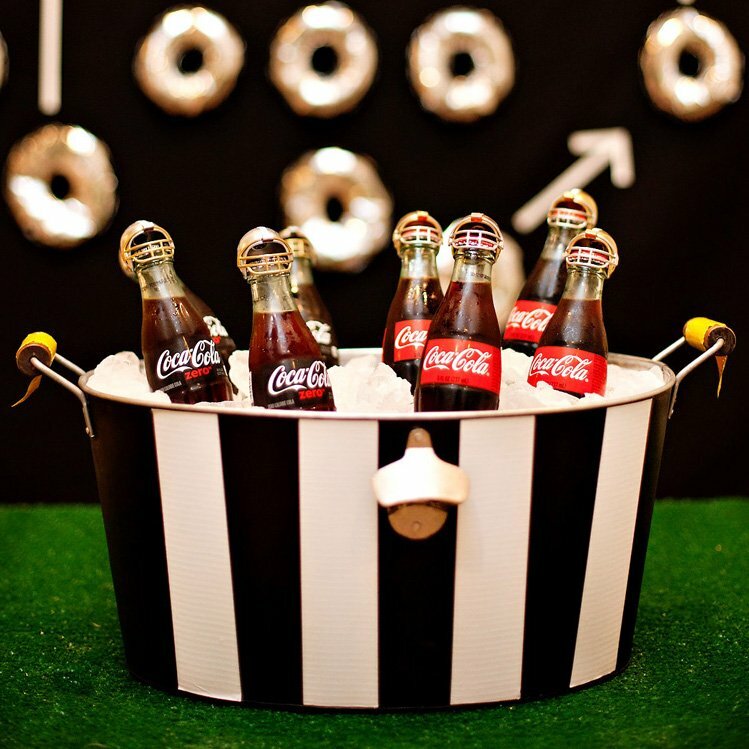 Here is my Coca-Cola & NABISCO #HomeBowlHeroContest pinterest board. 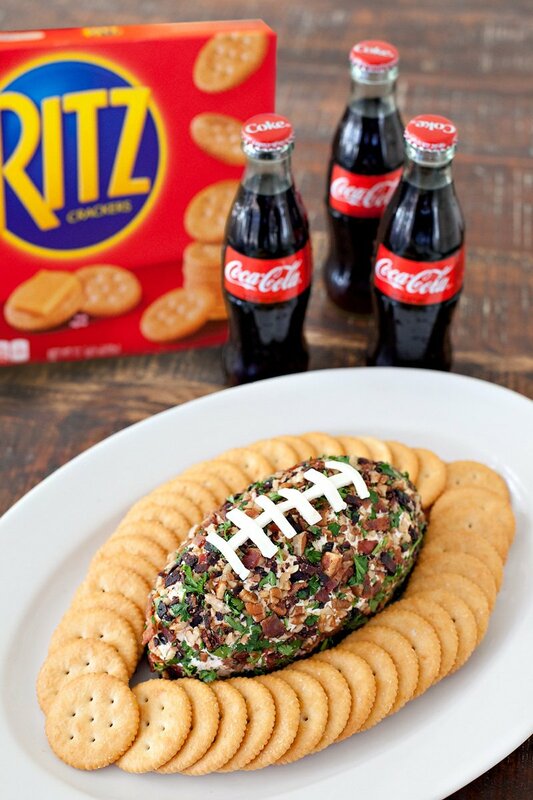 I’m definitely making that football cheese ball! 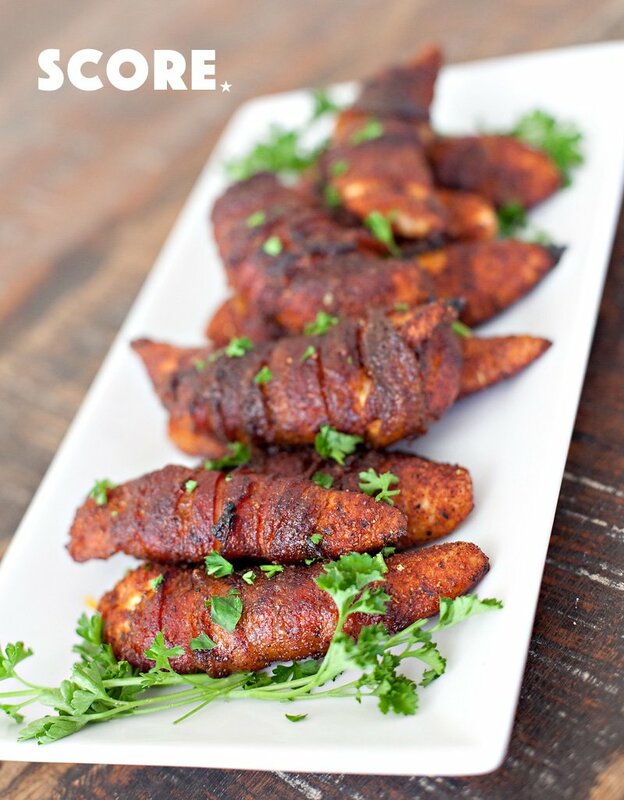 I am excited to have a super bowl party at work and use these awesome recipes!